Announcing the “Challenges by Design” Collection!! THE NOVEMBER 2008 “CHALLENGES BY DESIGN” COLLECTION! 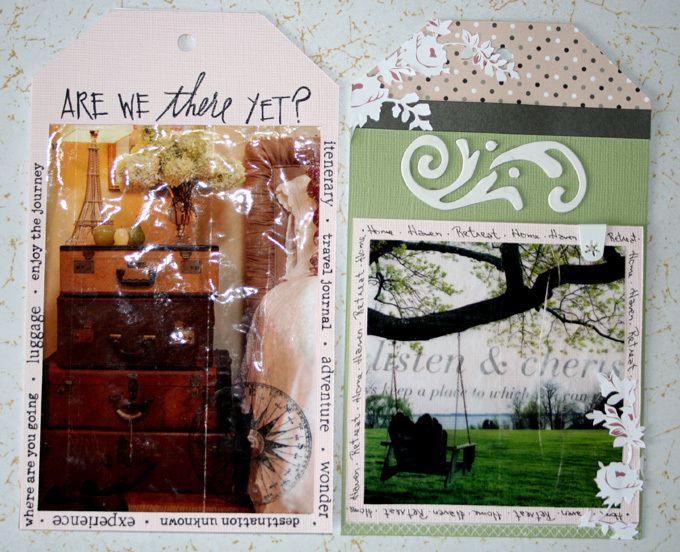 November 1, 2008 will bring a “Challenges By Design” Collection to Scrapbooker’s Club House. We can’t wait to reveal the challenges that the multi-talented SBCH Design Team has planned for November! Come over to the Club House and see what the Design Team has in store to challenge you and get your mojo goin’! You’ll be getting layouts done and cards made…Isn’t that what it’s all about? Join us and be inspired & challenged: meet new friends, too. We’re the friendliest scrappin’ spot on the ‘net and for your convenience, we have a fully stocked store just stuffed with scrappy goodness! Technique Tidbit Thursday! !- PHOTO TRANSFER! Here is a wonderful article that Nicole Drewniak came up with! anywhere on your page. Sounds complicated, doesn’t it? But it’s really not! beginner, you’ll look like a pro. a. 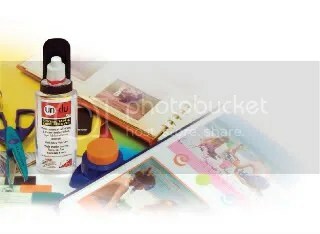 Color photocopy of your image or image cut from a magazine or book. Tip: For larger images, you may wish to use laminate sheets instead. 2. Soak your image in warm water for 3-5 minutes. is attached to a background. note that matte images seem to transfer better than glossy. Picture Yourself as the Winner! At present, the main contest being held at SBCH involves the search for a Guest Design Team member for the month of November. The winner will be SBCH’s Guest Design Team Member for the month of November and will receive a tantalizing Scrapbooker’s Club House Kit of the Month to design with!! The designer’s creations will then be posted in our Guest Design Team Member Gallery. The guest designer will also share with the SBCH Design Team the responsibility of posting monthly challenges to SBCH members. 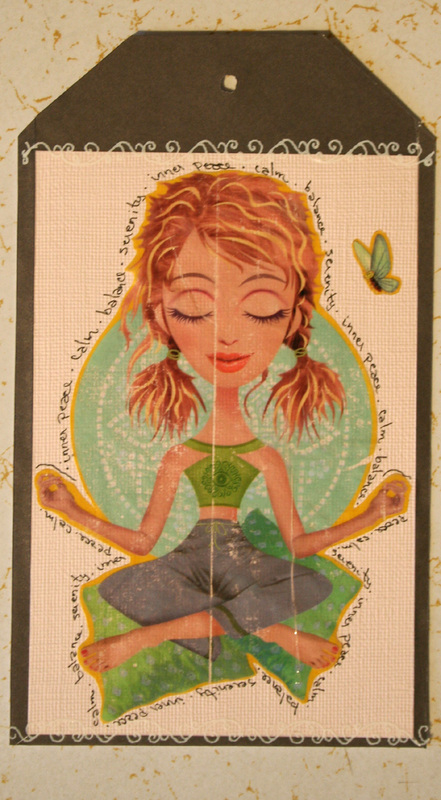 C’mon… give it a try, the kits Nicole puts together are just gorgeous! The time I spent as a GDT member at Scrapbooker’s Club House in Sept 2007 was amazing- there’s just so much fun in this friendly and caring community! Enter—if you win, you will have a wonderful ride here, sharing your creative mojo at SBCH! Go, go, go!!! Let’s see those entries! YOU could be the winner! November will see SBCH hosting a promotion involving “thinking outside the box,” and there will soon be another search, this time for the December Guest Designer. Stay tuned, stay informed… and stay scrappy!!! celebrate, we are offering Free Shipping on orders of $80 or more (before taxes) from Thursday Oct. 9- Monday October 13th. 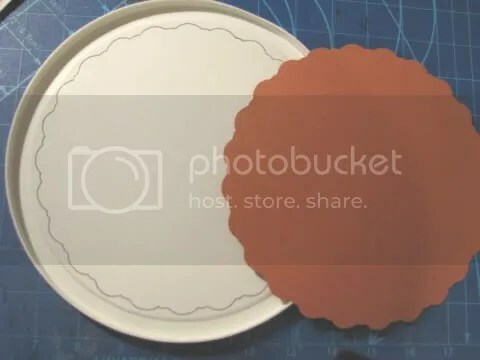 This week, SBCH member Lee Brehon shares an easy and FUN idea for making your own circular and scalloped templates. 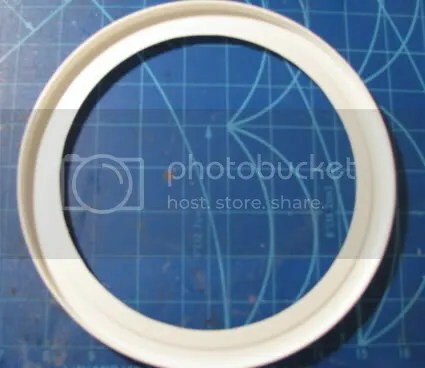 She recycles ice cream pail lids to do this! Thanks Lee for sharing a super GREEN scrappin’ idea with the SBCH community. Read on and get some inspiration from Lee: her practical and useful green ideas always inspire me! In this household, with so many children, we go through tons of ice cream. Because of this, I’ve acquired a huge stack of pails with lids. Lately I’ve been doing a lot of LO’s using large circles and scallops, and always find myself making my own patterns [templates] because of the many paper choices available. So I decided to cut my own patterns whenever I can! 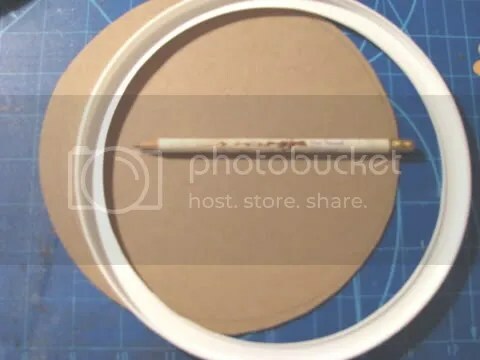 I simply take the lid of the ice cream pail and start by tracing my pattern out on the lid. Then I have a template I can use again and again! I don’t have to search through my papers to find it, cause I’ve punched a hole in it to hang. I can group all of the templates of similar shapes together. 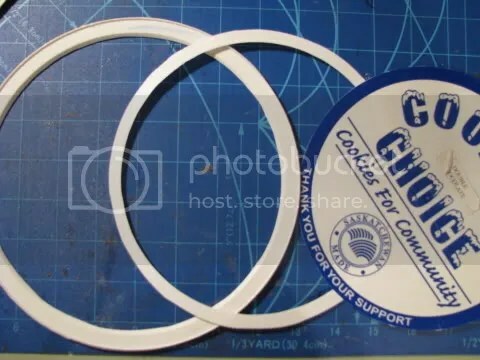 If you don’t own any circle cutters or especially LARGE circle cutters, then the technique above is the cheapest and most practical way to make circles of different sizes. 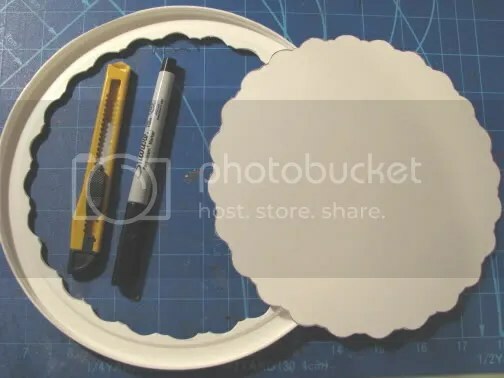 Imagine how many templates you can cut from a single lid! 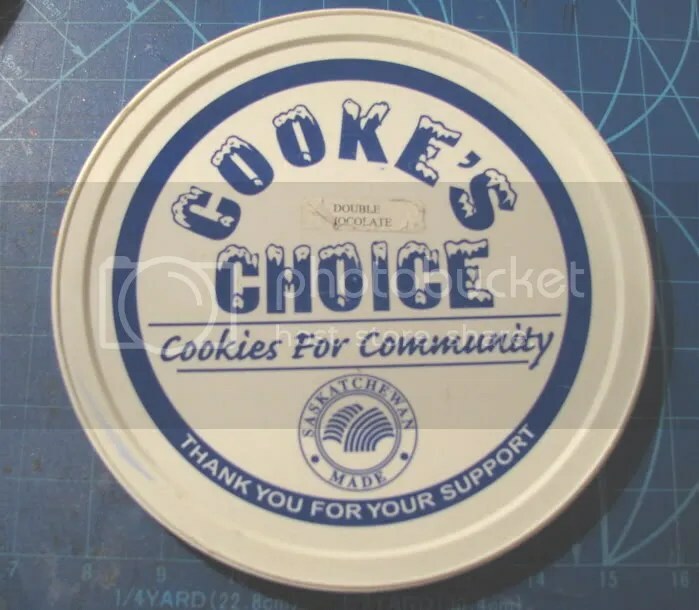 But here’s the best part……WHY STOP AT CIRCLES?? Make scallops, squares, tags and so much more!! Thanks for letting me share another one of my ideas! SBCH November Guest Design Team Member Contest!! Are you Scrapbooker’s Club House’s next “Guest Designer?” Each month at SBCH we will be choosing from your entries to see who our next Guest Designer will be. Sound interesting? Read on! Thanksgiving is just around the corner. This holiday usually involves family gathering for the big meal so we would love to see altered items for the table. Ex. napkin holders/rings, altered vases, place cards, candle holders etc. Deadline: Sunday October 26, 2008. Upload your entries in the “November Guest DT Contest” Gallery. IMPORTANT~Please include your NAME with your entry. The winner will be SBCH GDT member for the month of November and will receive a Kit of the Month with which to create designs. Your creations will then be posted in our Guest Design Team Gallery. You will also be able to participate along with SBCH Design Team in posting a monthly challenge to SBCH members.